When challenges are presented that require an attorney's attention, it can seem like a difficult decision to choose a lawyer who is right for you. While choosing the right lawyer is a critical decision, we strive to make it a simple one. 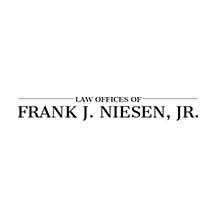 We are the lawyers at the Law Office of Frank J. Niesen, Jr., and we represent individuals in St. Louis and throughout nearby areas in Missouri and Illinois. Our law firm is committed to providing knowledgeable legal advice and personalized attention to our clients. We serve the needs of individuals, families and business professionals in a range of legal areas, including personal injury, workers' compensation, Social Security Disability, domestic and family law matters, traffic violation defense, DWI defense, unemployment claims, landlord/tenant issues, business law, collection matters, and estate planning matters (including wills and trusts). Our firm was founded by attorney Frank J. Niesen, Jr., who has been practicing law for more than 30 years. Now, we are led by a team of four knowledgeable attorneys and experienced legal support staff members. We are a competent legal team that is prepared to offer individualized, aggressive representation for those facing legal issues. We take time to help educate our clients regarding their legal options and make certain they have the information necessary to make informed decisions regarding their particular situation. Contact the Law Office of Frank J. Niesen, Jr. today at 314-421-5800 to schedule a free initial consultation.